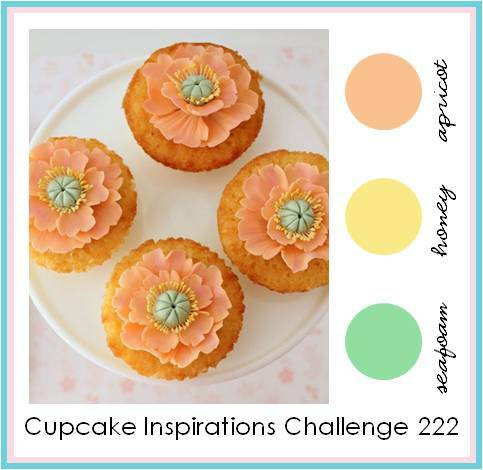 It's time for this week's Cupcake Inspirations Challenge and today we are using some sweet citrus colors as our inspiration. We are sponsored this week by A Day for Daisies. 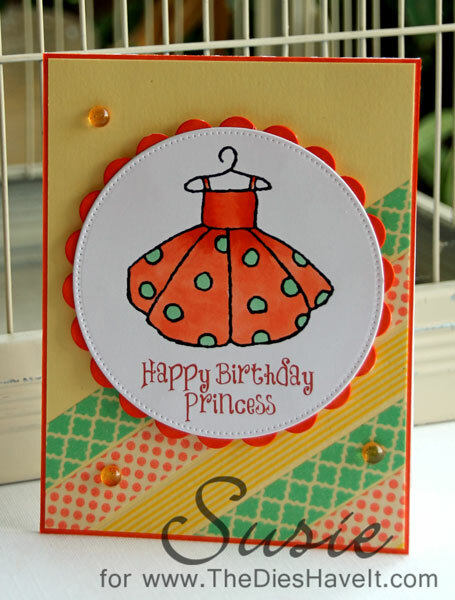 This is a fun site with both digital and clear stamps for sale. 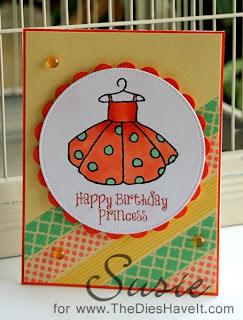 You will probably find quite a few stamps you really need once you take a look. My image is colored with Copic and then framed and matted using circle and scalloped dies. I used some sweet Washi tape to echo the challenge colors onto my card front. Add your project based on our inspiration photo featuring these summertime cupcakes.